You have a dream. Somewhere inside of you, there lurks a drive to achieve, succeed and most of all, to create. Perhaps your goal is to make it big in life or to improve the way we do things, from making phone calls to volunteering. If so, you may wish to join the Raffles Entrepreneurs’ Network (REN) and cast away the bowlines, for to paraphrase Mark Twain, it may well be what you chose not to do that you regret the most. A member of REN is, above all, an entrepreneur. When one thinks of entrepreneurs, an oft-imagined stereotyped is the profit-driven, tough-dealing hard-seller, or figures like Steve Jobs. However, aren’t necessarily looking for the shrewdest minds, nor the best business managers, nor even the most capable coders. We believe that an entrepreneur is neither a dreamer nor a doer but one who is adept at both, and strives to create meaningful and sustained value. To that end, social enterprise is a huge aspect of what we do, for we believe that the point of an enterprise is to create value in a socially responsible way and not just to earn. REN is always seeking to develop its members and provide opportunities. Regular CCA sessions consist of weekly General Meetings (GMs) lasting 2 to 3 hours long, on Wednesday afternoons. At these sessions, you will get to meet local entrepreneurs and founders of startups, such as Mr. Florian Cornu of travel-site startup Flocations or The Thought Collective founder Ms. Kuik Shiao Yin. 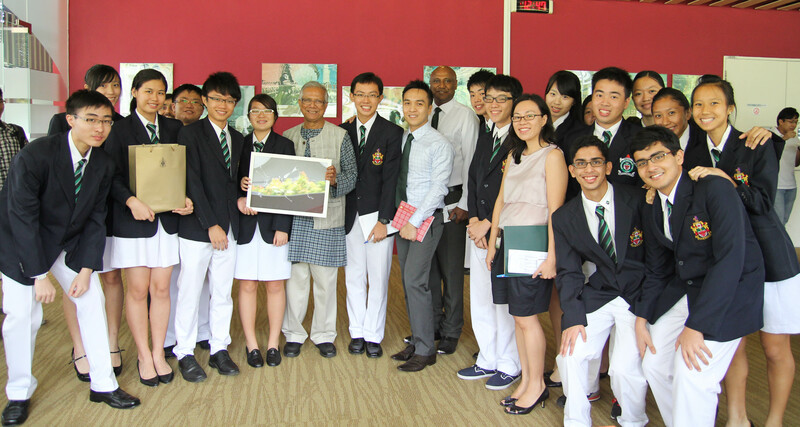 In 2010, we were honoured to have received Muhammad Yunus as a guest speaker. Stimulating exchanges of ideas are also a feature of GMs. You will also have the chance to participate in competitions such as the prestigious Students for the Advancement of Global Enterprise, or SAGE competition, and HP’s Social Innovation Relay, among others. REN clinched the 1st runners’ up awards for both these competitions nationally in 2013. As always, we are looking to expand our scope of activities and to include hackathons and hold-ups. There is plenty to do apart from the hard stuff, however. 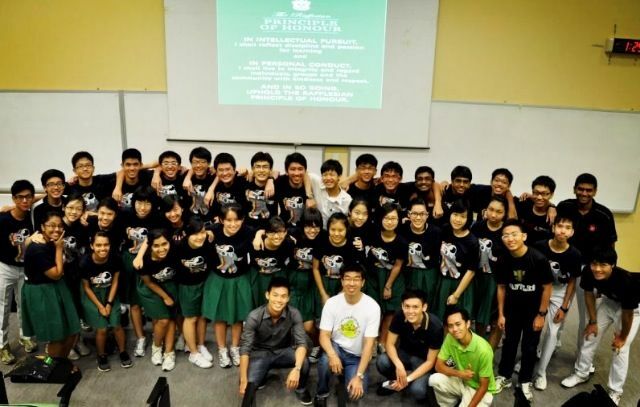 Each year, we will also be holding a CCA camp, which includes a mini business-pitch competition, for members to bond, relax and have fun. 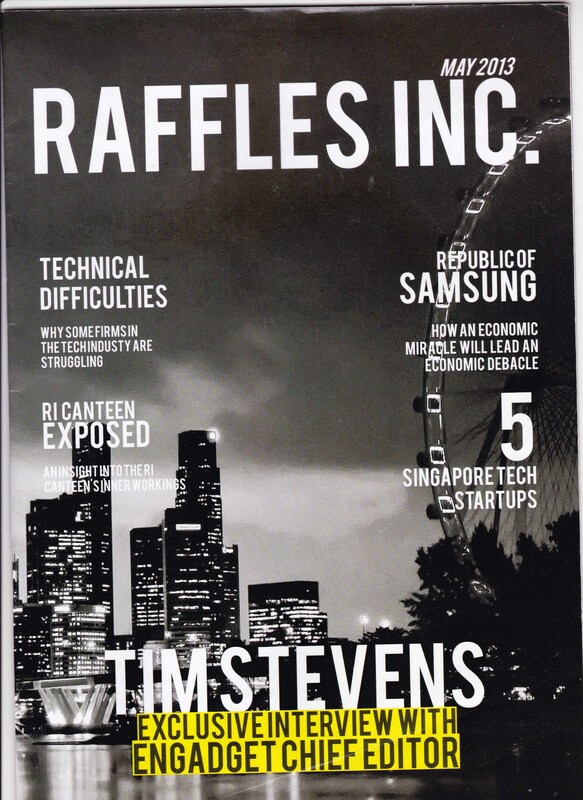 REN also publishes a magazine, RafflesInc., which is slated for its second release early next year. Apart from encouraging members to develop as entrepreneurs, REN aims to spread the entrepreneurial spirit as well. Ultimately, REN is a community of driven individuals. 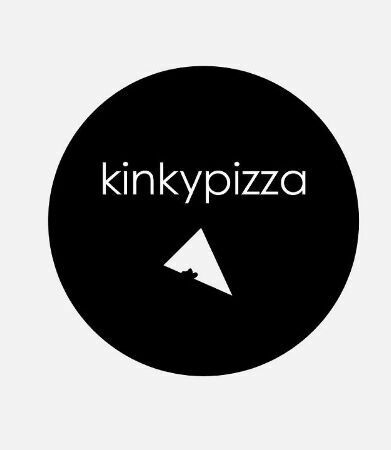 One of our members, Goh Zong Han, was in fact driven enough to found Kinkypizza, an app-development startup. 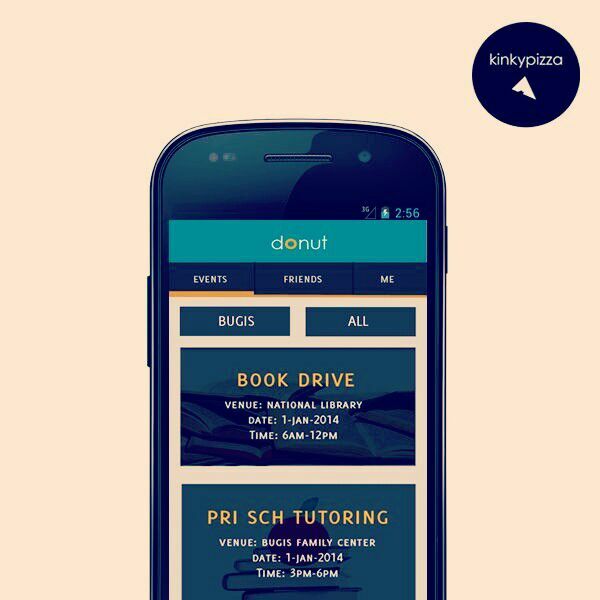 Its first app is named Donut, and integrates service learning opportunities, registration and tracking into an easy to use interface. This highly developed prototype just goes to show how far passion can carry you. Selection for REN is judged based on a rigorous interview. Spaces are limited in number and only about 30 students are selected each year. But if think you have the creativity to come up with a neat idea and the gumption to see it to reality, REN is for you.